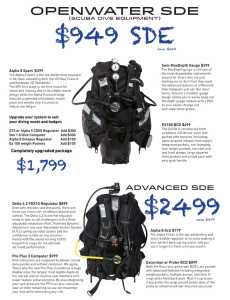 We have a number of great package deals on Oceanic BCDs and Regulators. Get into a solid start up package with various upgrades available – ie. dive computer, balanced and environmentally sealed regulator, integrated weight pockets, compass and more. 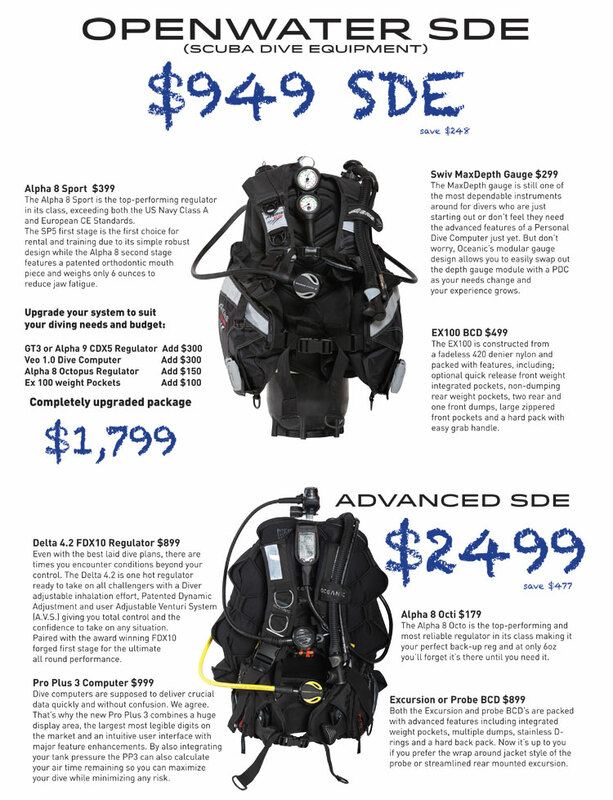 Or take advantage of our great deals and get into a top of the line package at bargin prices with air integrated computer, choice of jacket or wing style BCD and fully balanced and adjustable regulator with “Dry Valve Technology” (DVT). We have a huge range of International Brand products. Put together your our package and get a great deal with our Package Builder.